When one reads any strongly individual piece of writing, one has the impression of seeing a face somewhere behind the page. It is not necessarily the actual face of the writer. I feel this very strongly with Swift, with Defoe, with Fielding, Stendhal, Thackeray, Flaubert, though in several cases I do not know what these people looked like and do not want to know. What one sees is the face that the writer ought to have. Well, in the case of Dickens I see a face that is not quite the face of Dickens's photographs, though it resembles it. It is the face of a man of about forty, with a small beard and a high colour. He is laughing, with a touch of anger in his laughter, but no triumph, no malignity. It is the face of a man who is always fighting against something, but who fights in the open and is not frightened, the face of a man who is generously angry—in other words, of a nineteenth-century liberal, a free intelligence, a type hated with equal hatred by all the smelly little orthodoxies which are now contending for our souls. What Does a Humanist Do When Bigotries Swell? Political programmes may be defeated entirely, but not ideas: at least, not great ideas. Political circumstances may alter around them, ideological frontiers may be formed against or across them, but such convulsions merely alter the terrain: they may divert or divide, but they do not permanently dam the stream. The idea of ideological blocs systematically opposed to one another in intellectual matters is a naïve idea such as can only occur to doctrinaires and bigots. The Age of the Reformation had of course its bigots: monks who, in sixteenth-century Spain, denounced Liberal Catholics as 'Lutheran' heretics, puritans who, in seventeenth-century England, denounced Liberal Protestants as 'popish' conspirators. But the historian of ideas is not interested in these stunted McCarthyites. The victims of persecution are always more interesting than their persecutors; and if we wish to discover the heirs of Erasmus, rather than to assume too easily that they were crushed by the Counter-Reformation, we should not accept as final and mutually exclusive the barren categories of 'Protestant' and 'Catholic' into which Christendom was officially and superfically divided. There was an Erasmianism after Erasmus, a secret stream which meandered to and fro across those loudly proclaimed but ill-guarded frontiers, creating oases of rational thought impartially on either side. What does a humanist do when bigotries swell, black and red, on either side? There are some to-day who say that intellectuals should line up on either side as a species of army chaplains to encourage the troops. I well remember the spectacle, five years ago, in Berlin, when a so-called 'Congress for Cultural Freedom' mobilised the intellectuals of the West and invited them to howl in unison against the rival intellectuals similarly mobilised in an opposite 'Intellectual Congress' in Breslau. But I do not think that Erasmus, if he had yielded to political pressure and joined the Gadarene stampede of Lutherans or monks, would have had so lasting and beneficent an effect in the history of thought as he did by continuing to advocate peace for the diffusion of unarmed sense. Intellectuals may be citizens; they may even, as such, have to become soldiers; but it is not their business to be recruiting-sergeants. If their rational message is not heard in their time, let them still utter it rather than turn it into a battle-cry: it may still be heard tomorrow. For history, closely considered, suggests that opposite sides in an ideological struggle, for all their high-sounding abstract slogans, are not so opposite as they think that they are. The humanist message in fact can be understood by both. It may take a long time and a devious route; it may have to survive by stealth; but there is no proper alternative to it. Nowadays it has become almost impossible to approach one of Horace's poems with an unprejudiced mind. Expertus dico. How often did I think that I had completely disentangled myself from the snares of traditional exegesis, only to discover, after decades of intense study, that at some crucial point I was still interpreting not the words of Horace but the unwarranted opinion of some of his commentators. Even now it will probably happen more than once that the specious fallacy of a fable convenue defeats my attempts to free myself and others from certain current prejudices. But I may at least claim that what induced me to write this book was my desire to remove from the poems of Horace some of the crusts with which the industry of many centuries has overlaid them and to enable a sympathetic reader to listen as often as possible to the voice of the poet and as seldom as possible to the voices of his learned patrons. Rudyard Kipling's diatribe of anti-Liberal invective, '"The City of Brass'", was first published on 28 June 1909 in London, in the Morning Post, to draw the attention of his readers to the dangers of the Budget for that year proposed by the Chancellor of the Exchequer, Lloyd George. The title of the poem is taken from The Book of the Thousand Nights and One Night, where it is one of the stories told by Shahrazad to King Shahryar. Lloyd George was already struggling to fund the provision of old-age pensions; with the additional spending on the navy, he now had to raise £15 million by new taxation. Many of his measures might have been designed to offend Kipling personally: higher taxes on tobacco, taxes on petrol, motor licences, the creation of a new super-tax. The most controversial plan was to increase duties on unearned increment on the sale of land, necessitating a complete valuation of the land of Great Britain. Rudyard Kipling, "The City of Brass:"
information respecting lords collected in the dust. And of these is a story written: but Allah Alone knoweth all ! If he lend us his aid in this raid, we will set him above it!" For the show and the word and the thought of Dominion is evil!" And the heart of a beast in the place of a man's heart was given. . .
Out of the sea rose a sign—out of Heaven a terror. An host had prepared their destruction, but still they denied it. The preposterous-minded were cowed—they thought time would be given. For the story in the Arabian Nights, see The Thousand and One Nights, tr. Edward William Lane, Vol. III (London: Routledge, Warne, and Routledge, 1865), pp. 109-140 (the lines quoted by Kipling are on p. 115). Glad you like the metre. It's a "sport" from an Arabian one. You can see the same sort of thing in certain passages of the Arabian Nights. I tried some rather jolly variations of it — with three syllable rhymes at the end and three line stanzas instead of couplets. Also with the internal rhymes two syllable and the final a one syllable. You try and see how the thing can be expanded and contracted. 1. The Daily News devoted a leader to the poem, calling it a "lamentable performance" and a sign of the "decline and ruin of genius .... His violence, his obscurity, his delight in posing as the intimate friend and spokesman of the eternal powers have all increased with the years, till at last they have eaten away what was best in his nature — imagination and humour and all" (29 June 1909). The Westminster Gazette, 28 June 1909, wrote that the "violence" of the "vitriolic verses ... defeats itself and affords food for laughter". See also Aiman Sanad Al-Garrallah, "Encounter of the Twain: Rudyard Kipling's 'The City of Brass'," Odisea. Revista de estudios ingleses 16 (2015) 159-177. The farm at Venusia was a perfect setting for the childhood of a poet. It had only a few acres of land, and they were not very productive. But it was from this very fact that Horace drew some of the grist for his poetic mill. It was here, for instance, that he learned how character without principles may be likened to a neglected field, which is speedily overrun by bracken and will have to be cleansed by fire. It was here that he found the little parable of the bill-hook which cuts down the good with the bad. Here also he saw the dangerous bull with the hay on its horns, as in his third [sic, actually fourth] satire. It was here, in the farmyard, that he saw the hound barking at the horns and empty skin of a deer. It was here, probably, that he heard his father refuting that notion of the Stoics that all sins are equally wicked. The theft of his fresh young cabbages did not matter so much as that of his Lares (the little images of his household gods). It was here, certainly, that he learned something about plain living and high thinking. Moreover, there was a world of beauty around him—mountain and rushing river and murmuring forest; and, within his own narrow borders, the boy possessed one immense tract which is often forgotten. He owned absolutely everything, from where the seeds were sown up to the sky, and that is a considerable kingdom. It was on the farm at Venusia that, as English children learn about Puck, Horace became acquainted with Faunus, the friendly spirit of the countryside, who protected flocks and herds. As a child, he had seen the peasants, in their gayest holiday colours, bringing gifts of flowers and fruit, or sacrificing a firstling of the flock. He had seen the smoke rising from the little altar of Faunus at the field's edge, while the great white oxen, relieved of the yoke, lay breathing at ease in the shadow of the dark ilex, and the village girls clapped their hands for the ploughmen dancing in time on an earth no longer rebellious, and all the meadows around them made ready for Spring. This was a memory that came to life many years later in one of the most beautiful of his poems, the prayer to Faunus, which is so instinct with the feeling of the old Italian piety. There is gaiety in it, but there is also seriousness, and a note which is not often found in Horace—a note of tenderness. It was induced here, surely, by the memory of his native fields and the associations of his boyhood. I have attempted to render it in the original Sapphic metre; and, though only four words are given to the exultation of the ploughman over his old enemy ("ploughmen dance, on earth!") they may be nearer to the intention of Horace than the eight or ten with which prose translations have sometimes replaced the terse Latin. It is often said that the effect of Latin quantitative verse cannot be reproduced in Enghsh. But I think it can, on one condition. It cannot be done by ignoring the difference between quantity and stress; but it can be done by an order of words in which the natural stress of English falls where, in the Latin metre, the long quantitative syllable would demand it and, so far as possible, choosing words in which those stressed syllables are also "long:"
Rest where the streams flow. Fall, at thy feet, Faun. No rendering in verse could be true to the original, if it aimed at being literal. Incidentally, the order of the last two stanzas is here inverted. The natural "curve" of the poem, in English, seemed to take that form; and I thought it best to obey. Hugh attended the memorial service for [Lascelles] Abercrombie, which he thought "a drab and melancholy affair." There was not a single sentiment in hymn, psalm, prayer or lesson with which Abercrombie would not have violently disagreed, he felt; and thought much the same about [Robert] Beaumont's memorial service, lamenting that "this ridiculous mummery and mumbo-jumbo" should be the only way we know of paying tribute to the dead. "To think also that such a farce may be performed over myself," he railed: "that one day some old gaffer may intone to a sceptical congregation that I am now seeing my Creator face to face, & similar undiluted rubbish." Love and Apollo were there to chorus. Sleep and are silent in earth for ever. The Oxford School of Litterae humaniores — or "Greats," as it is called — seems to my mature judgment the best scheme of education that I have ever heard of. It is based upon an accurate knowledge of Greek and Latin texts, especially the texts of Plato and Aristotle and Thucydides and Tacitus, and the subjects studied in it are the eternal problems of thought, of conduct, and of social organization. These are discussed, not by means of contemporary catchwords, but by translating them back into another world and another language. Nor could anything be more profitable from the pupil's point of view than the way in which this scheme of education was carried on. 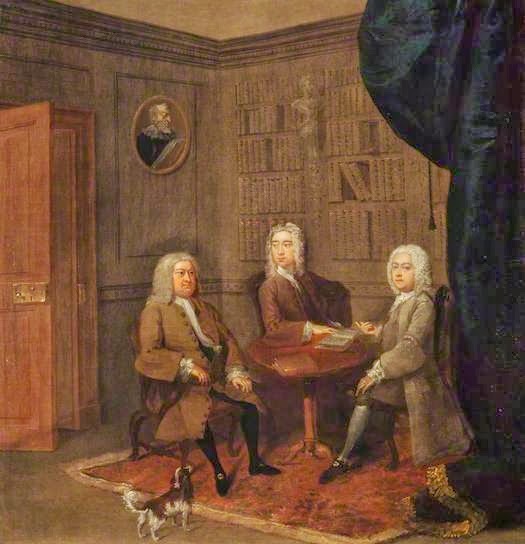 The student would prepare a paper on some special subject, and go with it, generally alone, and read it to his tutor, who would then discuss it and criticize it at length; or a group of two or three would meet in the tutor's room for a kind of Socratic discussion of some special point. These discussions were carried on much in the spirit of the Socratic dialogues; and the Socratic irony and assumed ignorance of the instructors, their deferential questions, as if the pupil were the teacher and they the learners, was a method which I found it hard at first to understand. I remember, for instance, in reading a paper to Nettleship, I mentioned the distinction between form and matter. "Excuse me for interrupting you," Nettleship said, "but this distinction you make, though it is no doubt most important, is one that I find a little difficult to grasp. If it is not troubling you too much, it would be a real kindness if you would try to explain it to me." "Oh, it's quite simple," I answered patronizingly. "There's the idea, say, in a poem, and there's the way in which it is expressed." Nettleship still seemed puzzled. "Could you give me an instance?" he pleaded. Now he might have said, 'I couldn't be nearly so fond of you, my dear, if I didn't care still more for my reputation.' The form, you see, is very different in both these sentences, but the subject of them — what they mean — is exactly the same." Nettleship seemed greatly discouraged. "I'm afraid," he said, "I can't see that the meaning of the two sentences is the same. I'm afraid I'm very stupid; but to me they seem to say quite different things." He was, I thought, curiously stupid; but in my patient attempt to make my meaning clearer to him a dim suspicion began to waken in me that perhaps it was not Nettleship but I myself who was playing the part of the fool in this dialogue. The Oxford School of Greats, and the Oxford tutorial system, which had been perfected by Jowett, and was seen at its very best in Balliol College, were exactly what I needed to knock out of me my pretentious superficiality; and if I have to any degree attained a "clean heart and new spirit," I owe it to these years of careful tuition and personal guidance at Balliol. Yet I cannot but feel that this system of personal tuition involved an intolerable waste of fine material, and that it was a fantastic, almost a wicked thing that hours and hours of the time of men like Nettleship and Abbott and the other Greats tutors should have been devoted to the culture of an intellect so raw and crude as mine. Barnum's Circus came to Philadelphia in my boyhood, rousing considerable excitement in the youth of that quiet city; and among the Quakers the question was much debated whether their children should be allowed to witness this entertainment. While it was admitted on the one hand that the sight of the elephants and the other exotic animals would help to enhance their conception of the wonders of creation, there were grave fears on the other hand that the spectacle of the scantily clad female acrobats on the tightropes might sully the innocence of their childish minds. The compromise finally arrived at, at least in our family, was that the children should be taken to the circus and allowed to see the animals, but should sit with closed eyes while the acrobats were performing. So there we sat, a row of Quaker children, staring with all our eyes at the performing elephants, but with our organs of vision closed and our hands before them during the less seemly interludes. 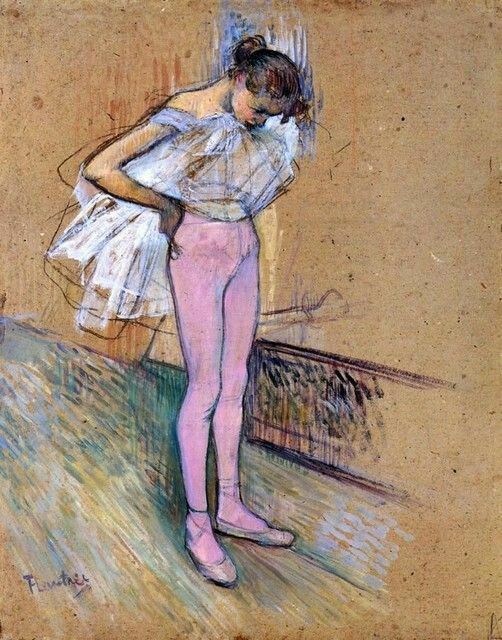 But one little Quaker boy permitted himself a guilty peep through his fingers, and gazed on a show of muscular limbs moving, slowly moving, in pink tights. What he was gazing at was, he knew, the spectacle of Sin; and so striking was the impression that his concept of that word became colored in his imagination for a long time with the pinkness of those slowly moving legs. It was only long afterwards that he came to understand why he had been forbidden to gaze upon them, and the grave danger he might have thereby incurred. Her through the fiery storm into the cleft. Is rather more than we can tell. Be on your guard, that's where she might abscond! Clutch at the air, keep trying without pause! And catch the fluttering fugitive again! Nun wanst'ge Schuften mit den Feuerbacken! Klotzart'ge, kurze, nie bewegte Nacken! Nehmt es in Acht sie wischt euch dort heraus. Daß Ihr die Flatternde, die Flücht'ge faßt! The fat devils with the straight horn do not at first obey orders, but fix their attention upon the dead man's mouth. Mephistopheles accordingly repeats his command to keep an eye on 'the lower regions' — the region of the navel. The idea that the 'bowels' are the seat of psychic life, especially of tender and sympathetic emotions, is perfectly familiar from the Bible; see, for example, Jer. xxxi, 20; Lam. i, 20; 1 John iii, 17. It is, therefore, a little far-fetched to suppose with Düntzer, that we have here an allusion to the claim of the clairvoyants to a special organ of vision located in the navel. Goethe was interested at one time in the scientific problem of locating the psychic organ; cf. Werke, H. 27, 37, where he speaks of having read and pondered over Sömmering's Versuch dem eigentlichen Site der Seele nachzuspüren. It may be added that the Gr. φρήν, φρένες, means first the diaphragm, then the parts about the heart, the breast, then the heart itself, and finally the mind. When now we remember that πνεῦμα, spiritus, anima, are simply the breath, that escapes from the mouth, we see that Mephistopheles has reason enough for his uncertainty as to the precise point where the elusive psyche may make its exit. Resembling bladders, guard his lower parts! It likes. Watch out, or you'll be in disgrace! Despite the difficulties with the Dean, Hugh was regular in his attendance in the Peterhouse chapel, dressed as a Doctor of Divinity. In the stall reserved for the Master he kept a volume of Horace, to ease the longueurs. He referred to this as "a work of devotion." The Dean was Edward Norman; the University of the South awarded Trevor-Roper an honorary Doctor of Divinity degree in 1980 (Sisman, p. 484). But none of these poets, or of others, has given to the world, as Horace has, a secular Psalter for daily and yearly and age-long use. There was a time when Homer was a kind of secular bible for scholars. Thanks for A Work of Devotion. I'm sorry I don't have mine with me. How does Psalm 1 go again? Beatus vir qui non abiit in consilio impiorum, et in cathedra pestilentiae non sedit, sed procul negotiis, ut prisca gens mortalium, paterna rura bubus exercet suis solutus omni faenore neque excitatur classico miles truci neque horret iratum mare forumque vitat et superba peccatorum limina ... etc. We breed in an environment of asphalt pavements a body of people whose creeds are chiefly restrictions against other people's way of life, and have kitchens and latrines under the same roof that houses their God. Such as these go to church to be edified, but at Las Uvas they go for pure worship and to entreat their God. The logical conclusion of the faith that every good gift cometh from God is the open hand and the finer courtesy. The meal done without buys a candle for the neighbor's dead child. You do foolishly to suppose that the candle does no good. At Las Uvas every house is a piece of earth — thick walled, whitewashed adobe that keeps the even temperature of a cave; every man is an accomplished horseman and consequently bow-legged; every family keeps dogs, flea-bitten mongrels that loll on the earthen floors. They speak a purer Castilian than obtains in like villages of Mexico, and the way they count relationship everybody is more or less akin. There is not much villainy among them. What incentive to thieving or killing can there be when there is little wealth and that to be had for the borrowing! If they love too hotly, as we say "take their meat before grace," so do their betters. Eh, what! shall a man be a saint before he is dead? And besides, Holy Church takes it out of you one way or another before all is done. Come away, you who are obsessed with your own importance in the scheme of things, and have got nothing you did not sweat for, come away by the brown valleys and full-bosomed hills to the even-breathing days, to the kindliness, earthiness, ease of El Pueblo de Las Uvas. Thou dim, uncertain spectra — bringest thou life or death? Dull, parrot-like and old, with crack'd voice harping, screeching? Thus in my earliest years I became familiar with the atmosphere of old libraries, and the dim light that dwells in them, and fell under the spell which they cast upon those who haunt their precincts — that quietness, that hush of the human spirit in the ghostly presence of its own immortality, stored up in rows of ancient volumes and great folios of the classics. 1. A reference to Phaedrus 252 D 7; but in Plato it is the lover who works on the soul of his beloved, fashioning it into the likeness of the god they once followed together. 2. Phaedrus 254 B 7. Πῶς ἂν οὖν ἴδοις ψυχὴν ἀγαθὴν οἷον τὸ κάλλος ἔχει; Ἄναγε ἐπὶ σαυτὸν καὶ ἴδε· κἂν μήπω σαυτὸν ἴδῃς καλόν, οἷα ποιητὴς ἀγάλματος, ὃ δεῖ καλὸν γενέσθαι, τὸ μὲν ἀφαιρεῖ, τὸ δὲ ἀπέξεσε, τὸ δὲ λεῖον, τὸ δὲ καθαρὸν ἐποίησεν, ἕως ἔδειξε καλὸν ἐπὶ τῷ ἀγάλματι πρόσωπον, οὕτω καὶ σὺ ἀφαίρει ὅσα περιττὰ καὶ ἀπεύθυνε ὅσα σκολιά, ὅσα σκοτεινὰ καθαίρων ἐργάζου εἶναι λαμπρὰ καὶ μὴ παύσῃ τεκταίνων τὸ σὸν ἄγαλμα, ἕως ἂν ἐκλάμψειέ σοι τῆς ἀρετῆς ἡ θεοειδὴς ἀγλαία, ἕως ἂν ἴδῃς σωφροσύνην ἐν ἁγνῷ βεβῶσαν βάθρῳ. 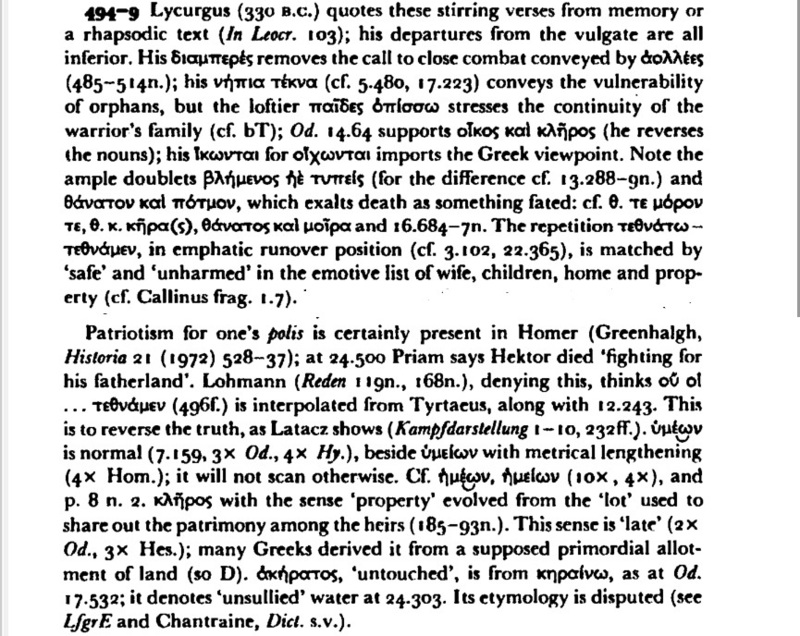 Thanks to Joel Eidsath for pointing out a misprint in the Greek (which I copied from the Digital Loeb Classical Library) — ψυχῂν (should be ψυχὴν). I made the correction above. 4 "Moments," wartime notebooks, I, pp. 19-21; DP 13/29. DP = Dacre Papers, Christ Church, Oxford. Irvine's anthology was KTHMA EΣ AEI (Godalming: A.C. Curtis, Ltd., 1922). There have been memorable moments in my life, — moments when I have deliberately turned my back for ever on an old world, or suddenly, through a narrow aperture, glimpsed a new, and gone out in search of it. The first was when, at the age of fifteen, in my study at Charterhouse, I discovered Milton's Nativity Ode, and realised the existence of poetry. Another was in the same room, when I was construing Homer. Hitherto my progress had been slow; the forms were unfamiliar, the vocabulary new. Then quite suddenly, — it was in the 7th Odyssey, the passage describing the Gardens of Alcinous — I found that, at last, I could read it freely and easily and enjoy it. On I read, far past the appointed terminus, till late at night, fascinated; and all my leisure hours for long afterwards were spent in reading Homer, till I knew all the Iliad and Odyssey. In all the variations of my tastes and standards (and very few have lasted intact from my school days) I have never wavered in my passion for Homer and Milton. And then there was that moment in the summer of 1936, when, walking round the Ch[rist] Ch[urch] Meadow, and pondering on the complicated subtleties of St Augustine's theological system, which I had long tried to take seriously, I suddenly realised the undoubted truth that metaphysics are metaphysical, and having no premises to connect them to this world, need not detain us while we are denizens of it. And at once, like a balloon that has no moorings, I saw the whole metaphysical world rise and vanish out of sight in the upper air, where it rightly belongs; and I have neither seen it, nor felt its absence, since. When I read Sisman, I said to myself, "Unfamiliar forms, not unfamiliar form." The actual passage from Trevor-Roper's journals confirmed my guess. [Arthur] Bryant's notoriously pro-Nazi book, Unfinished Victory, was published by Macmillan* in the spring of 1940. This was enough to raise a clamor for his arrest under Rule 18B of the Emergency Powers Act (1939), which allowed for the internment of those suspected of being Nazi sympathizers. *Harold Macmillan was said to have defended his decision to publish Bryant on the grounds that "We are publishers, not policemen." When our aim is knowledge we must go as far as all available means—including the most intense, yet at the same time most sternly disciplined, exercise of our imaginations—can possibly take us. We want to know—therefore, as far as may be, we want to live through for ourselves—the experience of men long dead. What a poem may 'mean' to moderns and to them only, however delightful, is from this point of view merely a stain on the lens. We must clean the lens and remove the stain so that the real past can be seen better. There are two ways of enjoying the past, as there are two ways of enjoying a foreign country. One man carries his Englishry abroad with him and brings it home unchanged. Wherever he goes he consorts with the other English tourists. By a good hotel he means one that is like an English hotel. He complains of the bad tea where he might have had excellent coffee. He finds the natives quaint and enjoys their quaintness. In his own way he may have a pleasant time; he likes his winter sports in Switzerland and his flutter at Monte Carlo. In the same way there is a man who carries his modernity with him through all his reading of past literatures and preserves it intact. The highlights in all ancient and medieval poetry are for him the bits that resemble—or can be so read that they seem to resemble—the poetry of his own age. Thus when modernity was Romanticism (for modernity naturally changes) the great thing in Sophocles was the nightingale chorus in the Coloneus; and Dante meant the Inferno and the Inferno meant Paolo and Francesca and Ulysses: and what really mattered about Villon was just the Old Frenchness, so archaic, so wistful. This sort of reading is well reflected in the successive schools of translation. A while ago the classics were made to sound like the Authorised Version or the Pre-Raphaelites; now they are to be stark and slangy and ironic. And such reading has its reward. Those who practise it will have certain enjoyments. But there is another sort of travelling and another sort of reading. You can eat the local food and drink the local wines, you can share the foreign life, you can begin to see the foreign country as it looks, not to the tourist, but to its inhabitants. You can come home modified, thinking and feeling as you did not think and feel before. So with the old literature. You can go beyond the first impression that a poem makes on your modern sensibility. By study of things outside the poem, by comparing it with other poems, by steeping yourself in the vanished period, you can then re-enter the poem with eyes more like those of the natives; now perhaps seeing that the associations you gave to the old words were false, that the real implications were different from what you supposed, that what you thought strange was then ordinary and that what seemed to you ordinary was then strange. In so far as you succeed, you may more and more come to realize that what you enjoyed at the first reading was not really any medieval poem that ever existed but a modern poem made by yourself at a hint from the old words. I think it worth while to spend some labour on 'putting ourselves back' into the universe which our ancestors believed themselves to inhabit. What their work means to us after we have done so appears to me not only more accurate (more like what they intended) but also more interesting and nourishing and delightful. And then there's poverty. The voice of conscience and of honour sounds very faint when the belly screams. I'll simply say that if ever I grow rich, I will certainly have to make restitution, and I'm quite determined to do so by all possible means—by feasting, by gaming, by drinking, by women. Et puis la misère. La voix de la conscience et de l'honneur est bien faible, lorsque les boyaux crient. Suffit que si je deviens jamais riche, il faudra bien que je restitue, et que je suis bien résolu à restituer de toutes les manières possibles, par la table, par le jeu, par le vin, par les femmes. Listen—let's give a cheer for philosophy, and one for wisdom: the wisdom of Solomon. Drinking fine wines, eating one's fill of choice dishes, tumbling pretty girls, sleeping on soft beds—except for these, all else is vanity. Tenez, vive la philosophie, vive la sagesse de Salomon: boire de bon vin, se gorger de mets délicats, se rouler sur de jolies femmes, se reposer dans des lits bien mollets. Excepté cela, le reste n'est que vanité. It is no more than fair that after Athens has been equipped with all she needs to carry on the war, she should apply the surplus to public works, which, once completed, will bring her glory for all time, and while they are being built will convert that surplus to immediate use. In this way all kinds of enterprises and demands will be created which will provide inspiration for every art, find employment for every hand, and transform the whole people into wage-earners, so that the city will decorate and maintain herself at the same time from her own resources. δεῖ δὲ τῆς πόλεως κατεσκευασμένης ἱκανῶς τοῖς ἀναγκαίοις πρὸς τὸν πόλεμον, εἰς ταῦτα τὴν εὐπορίαν τρέπειν αὐτῆς ἀφ᾿ ὧν δόξα μὲν γενομένων ἀΐδιος, εὐπορία δὲ γινομένων ἑτοίμη παρέσται, παντοδαπῆς ἐργασίας φανείσης καὶ ποικίλων χρειῶν, αἳ πᾶσαν μὲν τέχνην ἐγείρουσαι, πᾶσαν δὲ χεῖρα κινοῦσαι, σχεδὸν ὅλην ποιοῦσιν ἔμμισθον τὴν πόλιν, ἐξ αὑτῆς ἅμα κοσμουμένην καὶ τρεφομένην. The important thing is to open your bowels easily, freely, enjoyably, copiously, every evening; o stercus pretiosum! That's the grand outcome of life in every condition. Le point important est d'aller aisément, librement, agréablement, copieusement tous les soirs à la garde-robe. O stercus pretiosum! Voilà le grand résultat de la vie dans tous les états. "There was sucking-pig so delicate that it could be spread on bread like butter..."
It gives me great satisfaction to hear that the pig turned out so well — they are interesting creatures at a certain age. What a pity such buds should blow out into the maturity of rank bacon! You had all some of the crackling and brain sauce. Did you remember to rub it with butter, and gently dredge it a little, just before the crisis? Did the eyes come away kindly with no Oedipean avulsion? Was the crackling the colour of the ripe pomegranate? Had you no complement of boiled neck of mutton before it, to blunt the edge of delicate desire? Did you flesh maiden teeth in it? Not that I sent the pig, or can form the remotest guess what part Owen could play in the business. I never knew him give anything away in my life. He would not begin with strangers. I suspect the pig, after all, was meant for me; but at the unlucky juncture of time being absent, the present somehow went round to Highgate. To confess an honest truth, a pig is one of those things I could never think of sending away. Teals, wigeons, snipes, barn-door fowl, ducks, geese — your tame villatic things — Welsh mutton, collars of brawn, sturgeon, fresh or pickled, your potted char, Swiss cheeses, French pies, early grapes, muscadines, I impart as freely unto my friends as to myself. They are but self-extended; but pardon me if I stop somewhere — where the fine feeling of benevolence giveth a higher smack than the sensual rarity — there my friends (or any good man) may command me; but pigs are pigs, and I myself therein am nearest to myself. The pig was above my feeble praise. It was a dear pigmy. There was some contention as to who should have the ears; but, in spite of his obstinacy (deaf as these little creatures are to advice,) I contrived to get at one of them. It came in boots too, which I took as a favour. Generally these pretty toes, pretty toes! are missing; but I suppose he wore them to look taller. He must have been the least of his race. His little foot would have gone into the silver slipper. I take him to have been a Chinese and a female. His insight into character was extraordinary, particularly so after the theft of a valuable necklace from Chione, who lived with him, accompanied by her children, chastely maintaining her widowhood. The household slaves were assembled under the eye of Plotinus, who, after gazing upon them all, pointed to one man, saying, "This is the thief". This man was flogged, and though at first he denied it repeatedly, he subsequently confessed and returned the stolen item with his own hand. περιῆν δὲ αὐτῷ τοσαύτη περιουσία ἠθῶν κατανοήσεως, ὡς κλοπῆς ποτε γεγονυίας πολυτελοῦς περιδεραίου Χιόνης, ἥτις αὐτῷ συνῴκει μετὰ τῶν τέκνων σεμνῶς τὴν χηρείαν διεξάγουσα, καὶ ὑπ᾿ ὄψιν τοῦ Πλωτίνου τῶν οἰκετῶν συνηγμένων ἐμβλέψας ἅπασιν· οὗτος, ἔφη, ἐστὶν ὁ κεκλοφώς, δείξας ἕνα τινά. μαστιζόμενος δὲ ἐκεῖνος καὶ ἐπιπλεῖον ἀρνούμενος τὰ πρῶτα ὕστερον ὡμολόγησε καὶ φέρων τὸ κλαπὲν ἀπέδωκε. Must stink in every noble ear. That fades away from dong to ding. Mephistopheles hates the bell, because it represents the church, which concerns itself with every aspect and every event of men's lives. Arens (1989:120) mentions another Goethean phobia that finds expression in Faust: a dislike of clanging church bells. The reference is to Hans Arens, Kommentar zu Goethes Faust II (Heidelberg: Carl Winter, 1989), which is unavailable to me. Could "ersten Bad" refer to baptism? Church bells to most would be a holy thing, but to the devil their sound is accursed ("verfluchte"). Our honeymoon was spent in Italy, partly in a little inn at Fiesole—then still a small country town rather than a suburb of Florence—and partly at Venice. We thriftily combined a great deal of fun with a modicum of work: each morning I took the tram to the Laurentiana or the vaporetto to the Marciana and collated manuscripts while Bet [Annie Edwards Powell] deepened her knowledge of early Italian painting, about which as an ardent disciple of Berenson she already knew quite a lot. We met for lunch and a siesta, and the rest of the day was given over to pleasure. It was a happy time for both of us. The human animal is not competent. That is the meaning of the naked Dalmatian hills. For once they were clothed with woods. These the earliest inhabitants of Dalmatia, the Illyrians and Romans, axed with an innocent carelessness; and the first Slav settlers were reckless too, for they came from the inexhaustible primeval forest of the Balkan Peninsula. Then for three hundred years, from about the time of the Norman Conquest to 1420, the Hungarians struggled with the Venetians for the mastery of this coast, and the nations got no further with their husbandry. Finally the Venetian Republic established its claim, and thereafter showed the carelessness that egotistic people show in dealing with other people's property. They cut down what was left of the Dalmatian forests to get timbers for their fleet and piles for their palaces; and they wasted far more than they used. Venetian administration was extremely inefficient, and we know not only from Slav complaints but from the furious accusation of the Republic against its own people that vast quantities of timber were purloined by minor officials and put on the market, and that again and again supplies were delivered at the dockyard so far beyond all naval needs that they had to be let rot where they lay. After this wholesale denudation it was not easy to grow the trees again. The north wind, which blows great guns here in winter, is hard on young plantations; and the peasant as he got poorer relied more and more on his goat, a vivacious animal insensible to the importance of afforestation. The poor peasant is also sometimes a thief, and it is easier to steal a young tree than a fully grown one. So, for all the Yugoslavian Government can do, the mainland and the islands gleam like monstrous worked flints. The diagnosis of what is wrong, and the confident prescription of the cure; the wide view, the masterly survey; plans and prophecies: these have never been in my line. I would always rather try to wring the juice out of a single sentence, or explore the implications of one word than try to sum up a period in a lecture, or pot a poet in a paragraph. Philology was part of my job, and I enjoyed it. I have always found it amusing. But I have never had strong views about it. I do not think it necessary to salvation. I do not think it should be thrust down the throats of the young, as a pill, the more efficacious the nastier it tastes. But if the ranks of Tuscany should feel inclined to cheer, let me hasten to assure them that I do not think their wares are necessary to salvation either; much of what they offer is peddler's stuff. I have indeed become more, not less, bigoted as a result of experience in the little world of academic English studies. 'Bigoted' is for the Tuscans. Speaking to the Romans, defending the city and the ashes of their fathers, I would say 'convinced'. Convinced of what? Convinced that Philology is never nasty: except to those deformed in youth or suffering from some congenital deficiency. I do not think that it should be thrust down throats as a pill, because I think that if such a process seems needed, the sufferers should not be here, at least not studying or teaching English letters. Philology is the foundation of humane letters; 'misology' is a disqualifying defect or disease. It is not, in my experience, a defect or disease found in those whose literary learning, wisdom, and critical acumen place them in the highest rank — to which so many in the Oxford School have in various ways attained. But there are other voices, epigonal rather than ancestral. I must confess that at times in the last thirty odd years I have been aggrieved by them; by those, afflicted in some degree by misology, who have decried what they usually call language. Not because they, poor creatures, have evidently lacked the imagination required for its enjoyment, or the knowledge needed for an opinion about it. Dullness is to be pitied. Or so I hope, being myself dull at many points. But dullness should be confessed with humility; and I have therefore felt it a grievance that certain professional persons should suppose their dullness and ignorance to be a human norm, the measure of what is good; and anger when they have sought to impose the limitation of their minds upon younger minds, dissuading those with philological curiosity from their bent, encouraging those without this interest to believe that their lack marked them as minds of a superior order. I have heard sneers at certain elementary kinds of linguistic 'research' as mere spelling-counting. Let the phonologist and the orthographer have their swink to them reserved! Of course. And the same to the bibliographer and typographer — still further removed from the living speech of men which is the beginning of all literature. Contemplating the workings of the B.Litt. 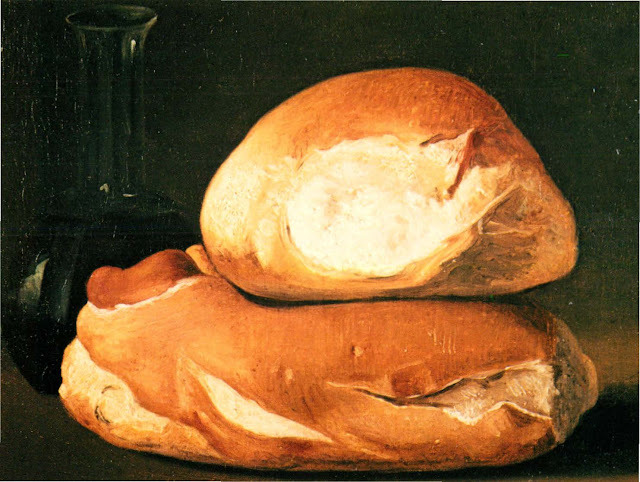 sausage-machine, I have at times dared to think that some of the botuli, or farcimina, turned out were hardly either tasty or nourishing, even when claimed to be 'literary'. When I lately stood with a friend before the cathedral of Amiens, and he beheld with awe and sympathy that monument of giant strength in towering stone, and of dwarfish patience in minute sculpture, he asked me how it happens that we can no longer build such structures? I replied, "Dear Alphonse, men in those days had convictions; we moderns have opinions, and it requires something more than an opinion to build such a Gothic cathedral." But for us two, come, let us take our joy bedded together in love. νῶι δ᾿ ἄγ᾿ ἐν φιλότητι τραπείομεν εὐνηθέντε. But now let us go to bed and turn to love-making. That you can't move your lip without criticizing? daß ohne Tadeln du keine Lippe regen kannst? A good old-fashioned place to sleep! That always was the stupid story's ending. Dig out a somewhat oblong square! That is how stupidly things terminate. Dig a long four-sided hole! That's the inane conclusion of all this. To excavate a lengthened square! Such is, at last, the issue most absurd. Caesar was one of the most completely competent writers in all literature. It is impossible to doubt his meaning, if we have an ordinary grasp of the Latin language, but his style is nervous, full of surprises and deliberately odd. His syntax on the page looks like speech, but like Ernest Hemingway's, it is not talk that can be uttered. It is as formal, with its own special formulas, as that of Racine or Pope, who are also supposed to have written simply. Reading Julius Caesar, if you read Latin and have never read him as a child (a most unlikely contingency), is like riding a high-spirited horse, who for all his nerves is always completely under control. There is no prose just like his in any language, so it is hardly pablum for schoolchildren, or a "Basic Latin" introduction to Roman literature. On every page of The Gallic War the simple, unambiguous nouns and verbs carom off each other like billiard balls. There are few adjectives and they serve mostly to fix the nouns in place. The adverbs are all active — they aim the verbs. Prose which exhibits so high a level of irritability, in the physiological sense, usually lacks unity of effect, subordination of parts to the whole — but not Caesar's. The rapid and complex movement of simple elements deploys on the page exactly as the battles it describes. The worst thing about using Caesar as a textbook is that he is the last author in the world to be parsed and construed and read a page a day. He should be read as he wrote, at great speed. The Gallic War can be got through in two quiet evenings with port, biscuits, and a thick slice of Caerphilly, and that is the way it should be done. The Civil War can easily be read in a night. On Caerphilly see the article by Hunter Fike in The Oxford Companion to Cheese (Oxford: Oxford University Press, 2016), pp. 104-105. So he spoke, and set out like a snowy mountain, and with loud shouting he sped through the Trojans and allies. κεκλήγων, διὰ δὲ Τρώων πέτετ᾿ ἠδ᾿ ἐπικούρων. shouting, and sped through the ranks of the Trojans and their allies. 9. It is hard not to be brought up short by this image. We are here being asked to consider not only Hektōr’s hugeness, but also his speed (and perhaps the dazzle of his armor). Despite scholarly support, the metaphor remains disconcerting. Mountains neither move (at any speed) nor do they shout. Yes, Homer sometimes nods. The comparison of a warrior rushing at full speed to a snowy mountain is extraordinarily inappropriate. If we adopt Nitzsch's explanation that ὄρεϊ νιφόεντι means an avalanche, this objection is removed, but only to make way for two others: first, that the words could hardly give the sense: secondly, that the avalanche is apparently unknown in Greece, and in any case cannot have ever been familiar on the coasts of Asia Minor. All attempts to amend the text are futile. The simile is imitated by Virgil (Aen. xii.699 ff. Quantus Athos . . gaudetque nivali Vertice se attollens pater Apenninus ad auras) without avoiding bombast. When Suhrab in the Shahnama drives his charger at the foe 'like a moving mountain' we feel of course no offence. I was, however, classic enough to go for inspiration to the original Greek texts (a fortunate choice, I believe, for the year in which I was examined). Plato, with Dr. Caird to expound him, was alone worth all the vapourings of the moderns. One of the best days I have spent was that on which, in a space of nine hours, I succeeded in reading the Republic from cover to cover. Aristotle was a second favourite, from his lack of literary appeal, but I suppose one learnt more thought from him, if less dialectic. As between Roman and Greek history (the other chief subjects besides philosophy) my preference never wavered; the small compass of the documentary evidence, with the consequent joy of inventing and proving theories for yourself instead of accepting them at second hand, prejudiced me altogether in favour of the Greek. Nor, apart from a strong sympathy with Cicero (another of my lost causes) did Roman history ever stir my imagination, and admiration for the greatness of the Caesars does not (apart from a few Virgilian references) form any part of the sentiment which I feel towards the City of the Seven Hills. A first in Greats left me neither a professional philosopher nor a professional historian; but it left me with a fierce love of sifting evidence and the power of not being fascinated into acquiescence when superior persons talked philosophy at me. Related post: Reading at One Sitting. Men's customs differ; different people honour different practices; but all honour the exaltation and maintenance of their own peculiar ways. νόμοι διαφέρουσιν ἀνθρώπων· ἄλλα δ᾿ ἄλλοις καλά· καλὸν δὲ πᾶσι τὰ οἰκεῖα κοσμεῖν καὶ σώζειν. With what I hope is the higher naiveté of this century, I believe in the conference, the decisive presence of Hetoemaridas, the general tenor of his remarks, and even in the accurate recollection of his words by the Spartan source of Ephorus. 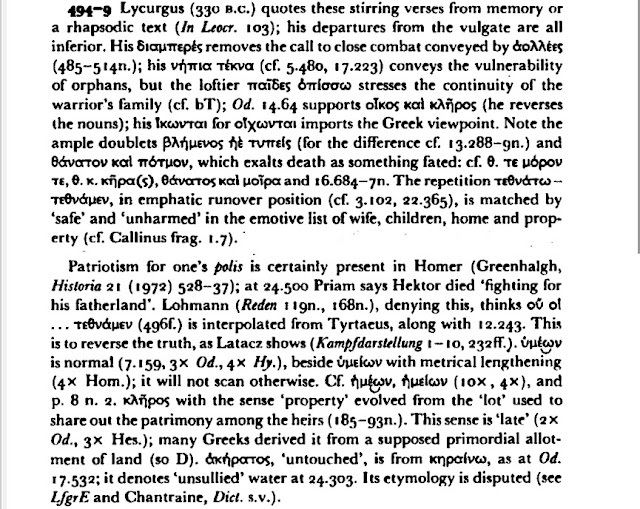 There is no doubt that Ephorus knew many true things that neither Herodotus nor Thucydides reports. In this period, which falls outside the main interest of both historians, the argument from silence is worthless. It is bad method to ignore the report of an ancient author that is not contradicted by another source, internally impossible, or self-contradictory. Thus, there is no reason to doubt the conference. And so there is this critical school that says, "I won't believe anything unless it is proven to me." At the other extreme, there's me, the most gullible historian imaginable. My principle is this. I believe anything written in ancient Latin or Greek unless I can't. Now, things that prevent me from believing what I read are that they are internally contradictory, or what they say is impossible, or different ones contradict each other and they can't both be right. So, in those cases I abandon the ancient evidence. Otherwise, you've got to convince me that they’re not true. Now, you might think of this as, indeed, gullible. A former colleague of mine put the thing very, very well. He spoke about, and I like to claim this approach, the position of scholarship which we call the higher naiveté. The way this works is, you start out, you don't know anything, and you're naïve. You believe everything. Next, you get a college education and you don't believe anything, and then you reach the level of wisdom, the higher naiveté, and you know what to believe even though you can't prove it. Okay, be warned; I'm a practitioner of the higher naiveté. So, I think the way to deal with legends is to regard them as different from essentially sophisticated historical statements, but as possibly deriving from facts, which have obviously been distorted and misunderstood, misused and so on. But it would be reckless, it seems to me, to just put them aside and not ask yourself the question, "Can there be something believable at the root of this?" Kagan's "former colleague" may be Peter Gay (1923-2015), who used the phrase "the higher naiveté" in "Rhetoric and Politics in the French Revolution," American Historical Review 66.3 (April, 1961) 664-676 (at 676). For when the Persians and their followers came with a vast array to blot Athens out of existence, the Athenians dared, unaided, to withstand them, and won the victory. And while they had vowed to Artemis that for every man they might slay of the enemy they would sacrifice a goat to the goddess, they were unable to find goats enough; so they resolved to offer five hundred every year, and this sacrifice they are paying even to this day. ἐλθόντων μὲν γὰρ Περσῶν καὶ τῶν σὺν αὐτοῖς παμπληθεῖ στόλῳ ὡς ἀφανιούντων τὰς Ἀθήνας, ὑποστῆναι αὐτοὶ Ἀθηναῖοι τολμήσαντες ἐνίκησαν αὐτούς. καὶ εὐξάμενοι τῇ Ἀρτέμιδι ὁπόσους κατακάνοιεν τῶν πολεμίων τοσαύτας χιμαίρας καταθύσειν τῇ θεῷ, ἐπεὶ οὐκ εἶχον ἱκανὰς εὑρεῖν, ἔδοξεν αὐτοῖς κατ᾿ ἐνιαυτὸν πεντακοσίας θύειν, καὶ ἔτι νῦν ἀποθύουσιν. 6400 Persians were slain at Marathon (Herodotus 6.117). They say that the Athenians promised Artemis Agrotera that they would sacrifice a goat to her for every barbarian killed; and then, after the battle, when the immense number of the dead became apparent, they passed a resolution asking the goddess to release them from their vow on condition that they sacrificed five hundred goats every year. φασι τοὺς Ἀθηναίους τῇ Ἀγροτέρᾳ θύσειν χιμάρους ὅσους ἂν τῶν βαρβάρων καταβάλωσιν, εἶτα μετὰ τὴν μάχην, ἀναρίθμου πλήθους τῶν νεκρῶν ἀναφανέντος, παραιτεῖσθαι ψηφίσματι τὴν θεόν, ὅπως καθ᾿ ἕκαστον ἐνιαυτὸν ἀποθύωσι πεντακοσίας τῶν χιμάρων. The moon-goddess held an important place in the religious associations of the battle. The commemorative coins struck from 490 B.C. onwards showed a waning moon behind the owl of Athena; and an annual thanksgiving for the victory was made in honour of Hecate Agrotera or Artemis Agrotera as the moon-goddess, the huntress, at her already established festival at Agrae, which was held on the 6th of Boedromion, that is some eleven days before the actual battle of 490 B.C. Seltman and others have thought the waning moon was added to give the date of the battle. But as the thanksgiving to the moon-goddess for victory was divorced from the date and as a waning moon is a vague way of defining a date, one wonders if the date per se had any special or religious importance. It is more likely that the moon-goddess played an important part in the victory and that the χαριστήρια τῆς νίκης were paid to her for her part in it; and that the waning phase, shown on the coins, was a particular factor in the victory. We may envisage the situation. Each night before full moon, as moonset drew nearer to sunrise, the Persian cavalry returning near moonset arrived later and the interval of darkness before sunrise dwindled; then, when it was full moon, moonset was half an hour before sunrise and the cavalry returned shortly before dawn; on the following night the moon set after sunrise, and the cavalry had not returned by dawn—were perhaps already on the way back—when 'the Athenians were let go and rushed at speed upon the barbarians' (Hdt. vi 112.1). The state-festival, led by the polemarch (Ath.Pol. lviii 1), in thanksgiving to the moon-goddess would thus have a particular explanation. Aristophanes Eq. 660 mentions the sacrifice to the huntress goddess, Agrotera, and Xenophon, Anab. iii 2.12, explains its connection with Marathon as follows: 'The Athenians, having vowed to Artemis to sacrifice as many goats to her as they killed of the enemy, when they could not find enough, resolved to sacrifice five hundred every year; and even to this day they offer sacrifice in thanksgiving for that victory.' The decree of the Athenian state is mentioned also by Plutarch, de malign. Herod. 26.7 = Mor. 8 [sic] (τοὺς Ἀθηναίους ... ψηφίσματι). The official spokesman of the vow by the Athenian state was probably the archon polemarchus, just as the official who conducted the sacrifice at the festival was the archon polemarchus (Pollux vii 91). On the 6th of Boedromion in 490 B.C. the archon polemarchus was Callimachus, and the Scholiast to Arist. Eq. 660 may be correct in stating that Callimachus made the vow. If so, the vow was made on the 6th of Boedromion in his year of office, 490/489 B.C., and in his lifetime, so that the battle was fought not before that date, e.g. in Metageitnion, but later in Boedromion. I suggest then that at the established festival of Artemis and Apollo on the 6th of Boedromion in 490 B.C., when Eretria had fallen and in fact two days before the Persian landing at Marathon, the Athenian state made this vow; and that, when the moon-goddess played her part later in bringing victory at Marathon, the thanksgiving was made to her in perpetuity, and she took precedence over Apollo in the cult thereafter. Xenophon tells us that, again before Marathon, the Athenians vowed to sacrifice to Artemis Agrotera one goat for every Persian slain. So vast was the slaughter that, for want of goats, they commuted the vow to an annual offering of 500, but in that form it was still carried out in Xenophon's day, and the procession to Artemis' shrine survived in Plutarch's. (A cult of Zeus Tropaios at the site of the battle also commemorated the victory more directly.) This spectacular rite—the earliest attested instance, incidentally, of the great democratic institution of the 'public feast', δημοθοινία—must have enhanced the fame of Artemis Agrotera, and it was perhaps she who was honoured (in the 440s?) with the elegant Ionic temple beside the Ilissus which Stuart and Revett were still able to capture in a drawing in the 1750s. 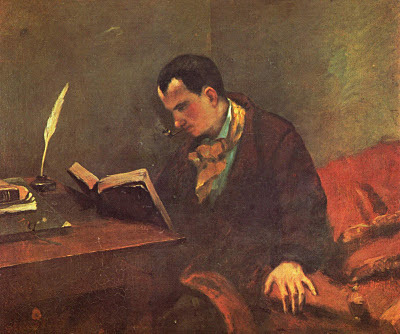 Yet one may say that one of the grandeurs of philology has always been the way in which tiny details can open up great vistas of suggestion and, furthermore, find a natural connection between ancient and modern, and even with the facts of one's own life. A book, according to Littré's dictionary, is a collection of several sections of manuscript or of printed pages. That definition does not satisfy me. I would define a book as a work of witchcraft from which there escape all sorts of images which disturb people's minds and change their hearts. I will put it better still—a book is a small magical apparatus which transports us into the midst of images of the past or among supernatural shades. Those who read much are like hasheesh-eaters. They live in a dream. The subtle poison which penetrates their brains renders them insensible to the real world and throws them as a prey to terrible or to delightful phantoms. Un livre est, selon Littré, la réunion de plusieurs cahiers de pages manuscrites ou imprimées. Cette définition ne me contente pas. Je définirais le livre une oeuvre de sorcellerie d'où s'échappent toutes sortes d'images qui troublent les esprits et changent les cœurs. Je dirai mieux encore: le livre est un petit appareil magique qui nous transporte au milieu des images du passé ou parmi des ombres surnaturelles. Ceux qui lisent beaucoup de livres sont comme des mangeurs de haschisch, ils vivent dans un rêve. Le poison subtil qui pénètre leur cerveau les rend insensibles au monde réel et les jette en proie à des fantômes terribles ou charmants. Ah, shall I ever, long years hence, look again on my country's bounds, on my humble cottage with its turf-clad roof—shall I, long years hence, look amazed on a few ears of corn, once my kingdom? post aliquot, mea regna uidens, mirabor aristas? The critical apparatus from the Teubner edition by Silvia Ottaviano wrongly cites the page number of Havet as 32 (obviously a mistake for 82). On the problematic line 69 see most recently Egil Kraggerud, Vergiliana: Critical Studies on the Texts of Publius Vergilius Maro (London: Routledge, 2017), pp. 11-12, with notes on p. 80.
among the simple shepherds and peasants. No less dogmatic in its own way is a fine, small relief in Munich (fig. 226). Amid this ostensibly innocent and loving view into a world of personal fulfillment, there is scarcely a single detail that does not function like a little didactic signpost. An old peasant drives his cattle to market. But unlike Hellenistic artists, whose detached studies of half-starved, scruffy fishermen and peasants bore a distinctly negative connotation, our sculptor is at great pains to show how the farmer prospers. His well-nourished cow carries two fat sheep, while the old man himself carries a hare over his shoulder and originally held a fruit basket. This is all portrayed as the reward not so much for hard work, but rather for the proper way of life. The background is dominated by an ancient sanctuary. We can make out the wall and gate of the sacred precinct, an altar with torch and cult vessels before it, and, in the distance, a small shrine of Priapus. From the middle of this round structure of marble ashlar blocks, a pillar soars up, supporting the Dionysiac grain basket with mystic tokens, the phallus, and bunches of fruit. As if this were not enough, the ancient tree, which has long ago already grown up through the gate, now miraculously spreads its fresh, luxuriant oak branches precisely over the holy objects. In the decaying state of the sanctuary we may suspect an allusion to the deserta sacraria (Propertius 3.13.47), which—until Augustus appeared on the scene—were tended to only by the unspoiled farmers and shepherds. The iconography of a scene like this is no less complex and richly textured than the bucolic imagery of Augustan poets. The relief is in Munich at the Glyptothek, inv. 455. Pietas is also the principal message of the novel landscape scenes with predominantly sacred and bucolic subject matter that were introduced along with the new decorative system and appear on many walls of the Candelabra Style (fig. 224c). These carry the viewer off into a world of peace and calm. Meadows and ancient trees, rocks and streams, here and there fishermen or shepherds with their flocks, as well as satyrs and nymphs, evoke thoughts of the carefree life in "unspoiled nature," though in reality the compositions consist of parklike settings with garden architecture, little temples and colonnades, even villas in the background. The focal point is always an artfully constructed shrine, with small sanctuaries, votive offerings, and statues of the gods, before which stand worshippers performing a sacrifice. Of the latter some are simple country folk, others festively attired priestesses. In this setting even the satyrs leave their maenads unmolested and instead piously bring offerings to Dionysus or Priapus. 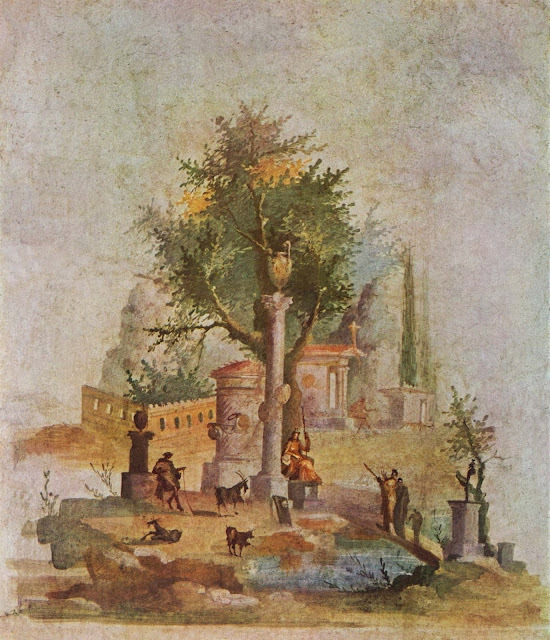 The pastoral idyll was in fact already part of the thematic repertoire of earlier wall painting, but merely as a genre scene, one of several kinds of landscape. Now it becomes the principal subject, and always associated with statues of divinities, altars, votives, and cult activities. At least as early as Vergil's poetry the bucolic world had been burdened with "political" symbolism. In the Georgics, the simple life of Romulus and his shepherds, its unspoiled piety, is celebrated. For other Augustan poets as well, the pas­toral idyll always represents a longing for escape from city life, with its daily stress, ostentation, and moral decay (e.g., Horace Epodes 2.1.140). Ever since the happy shepherd and his peacefully grazing flock had become symbols of the saeculum aureum, visual imagery focused on the praise of simplicity and unaffected piety, turning the subject into a deliberate metaphor. 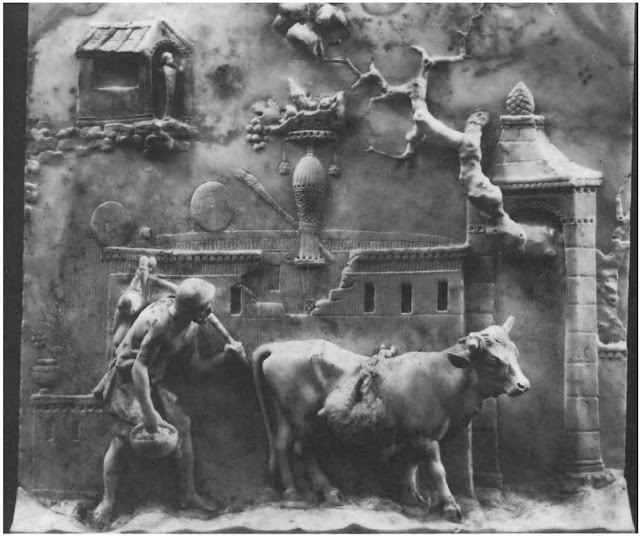 We need only recall the grazing animals in the Pax relief on the Ara Pacis (cf. fig. 136). The little landscapes are remarkably constructed. The individual elements do not compose a unified pictorial space, but are simply set beside one another, as in Chinese landscape painting. As a result the views have a peculiar, floating quality, and the lack of a frame gives them the character of a vision or epiphany. Artists were more concerned with communicating a certain atmosphere than with rendering specific details. But these new idylls are full of contradictions. In this highly sophisticated society, sated in luxury, painters could only imagine the simple pastoral life against a background of elegant parks and villas. The simple stone altar stands in front of extravagant and exotic religious architecture and lavish votive offerings. These views of country landscape never reveal Roman peasants at work or the fertile Italian soil so rapturously celebrated by Vergil. We see only satyrs vintaging, not men and women. This vision of agriculture is unencumbered by the Augustan moral campaign, which only succeeded in redefining the imagery of escape into a world of otium. In place of the almost palpable luxury of the Late Republic, we are presented with nostalgic visions combining the very real urge for a quiet weekend in the country villa with the imagined longing for a simpler and harmonious way of life.